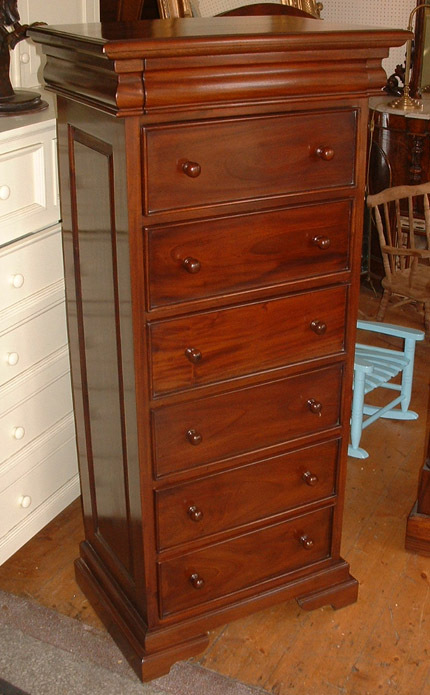 This Fine Victorian style Wellington Chest, also know as a Tallboy. 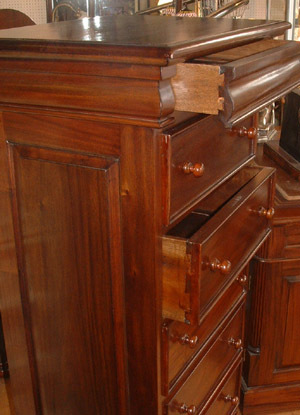 Solid Mahogany set of drawers has six graduating drawers with turned handles and a secret top drawer. 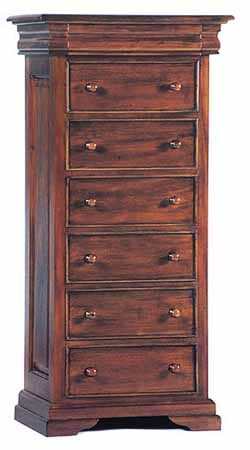 Paneled sides and back and on a plinth base.